David Russick is an established entrepreneur and angel investor. Russick is co-founder, Managing Director, and Board Member of Gopher Angels, an investment organization dedicated to supporting entrepreneurship and early stage businesses in the state of Minnesota. Russick is also founder and President of TUBS, Inc., a family owned waste and recycling business in the Twin Cities. Russick co-founded Bagster, LLC., a nationwide waste services company. 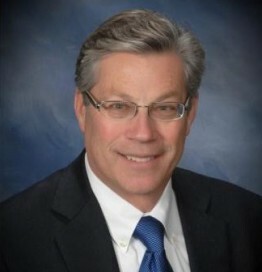 He served as President and Board Member prior to Bagster’s acquisition by a Fortune 500 company. In addition, Russick serves on the Board of Advisors for the Dakota Venture Group. He also serves on the Business Advisory Group for the University of Minnesota’s Office for Technology Commercialization. Russick has been featured in the “Star Tribune,” “Twin Cities Business,” and the “Minneapolis St. Paul Business Journal.” “Twin Cities Business” named him a “2014 People to Know – Finance.” In 2010, Bagster was named by “Ad Age” as one of the 10 Hottest Brands in the U.S. TUBS, Inc. was selected by City Business in 1998 as a “50 Fastest Growing Private Company.” Russick is a patent holder. Russick is a graduate of the University of South Dakota. He earned a Master of International Management degree from the Thunderbird School of Global Management with studies at Oxford University, Oxford England.